If you were adopted, or have little knowledge about your family’s ancestry, genetic testing could be your answer. Genetic testing ancestry results can match your DNA to populations around the globe and several anthropological regions to find out about your ancestors. These tests can determine how close your genetic makeup is related to these groups and show you your geogenetic heritage. Knowing your ancestral heritage can help you determine what types of diseases you or your future children may be at risk for, and can just give you some general information about where your ancestors came from, how they lived, and explain some of your unique physical features. Even though you may have grown up in America to a Caucasian or African American family, you may not know where your ancestors actually came from. With genetic testing, you may find out that you have Scottish or Irish blood in you. Or you may find that you are part Native American or Arabic. These findings can give you a whole new look on your family and where they came from. By knowing your ethnic heritage, you can be made aware of certain diseases that that group may be at risk for, and get screened for the disease just to make sure you are still healthy. Finding out your heritage can also be fun as you learn about traditions they may have had. You can then add them into your own life if you wish. You can also learn about where your ancestors lived, and if they migrated to a new location. In ancient days, many groups of people often migrated to find food or a better place to live. Genetic testing can tell you what groups you may have been related to, and you can find information on where they may have settled. Genealogists have been tracing family histories for a long time. It is important to know where you came from and who you are related to – see more at http://www.gtldna.com/AncestryTesting.htm. The only hiccup you may find when determining this information is that you must have another person’s DNA to match your results. Your DNA alone cannot show whether you are related to someone who you think may be a distant cousin. If you can get this person to agree to a test, however, you may find that you will be able to add more family members to your ancestral tree. 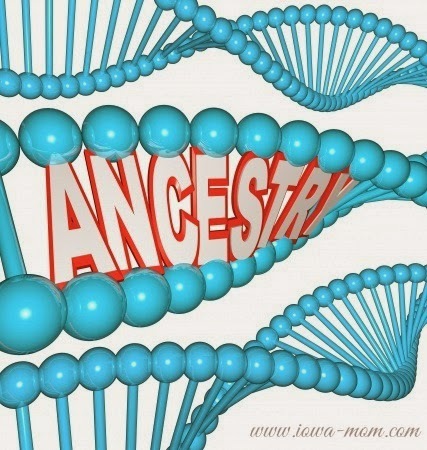 With this information, you can connect many relationships to people you may not know very well yet, but who have the same ancestral background as you. Getting genetic testing done may not be able to tell you specific people whom you are related to, but it can show you potential relatives from results that have been gathered from population studies. This can at least give you a push in the right direction to discovering who your ancestors may be. Genetic testing can be an aid in your family history research and give you valuable information about ethnicity and heritage. If you were adopted into your family, or you have adopted a child yourself, sometimes the family history cannot be found or determined. Often adoption records are sealed because the parents do not want their biological child to search for them in the future. This can pose some difficulties when it comes to knowing family medical histories and ethnic backgrounds. Taking a genetic ancestry test can provide you with some answers to these questions. Although you may not have any genetic material to compare your results to, you can at least check to see whether you or your adopted child carries any diseases. Genetic testing can determine ethnic background, which can also give you a clue as to what types of diseases to look for when testing. Even though you may not be able to determine who your parents are, you can at least find out a little bit about your ancestors. Genetic testing can be a great tool for getting to know your ancestors. You may be able to find out your ethnic background, and where your ancestors settled way back in the day. This testing can provide you with a few of the answers you may be seeking when doing your family history and finding out who you are. I didn't realize people could do this, but it is a great option for anyone who is trying to find this information out. I would think the more people become aware of this, and can afford it, the more helpful it will be. Very interesting read! Thanks for sharing. I don't agree with testing unless there is some medical reason. There are so many ways that the info can be abused. VERY INTERESTING POST--THANKS FOR POSTING IT.. This is interesting and right up my alley as I am a big fan of genealogy. I wish I had the money to do this testing. I been doing genealogy for over 40 years now. It is always fun to find out who your ancestors are and how they lived. That's very interesting. My parents are both dead but I know I come from English/Irish/Scots background. I'd love to do this. I know a little about my genetic heritage but there are some big questions, especially on my father's side. I have read that it is getting more and more popular, hopefully as it does it will cost less. Thanks for the informacion !! I have been thinking about doing this for a while, thank you for posting. oh my goodness this is absolutely awesome!!! I think that it would be very interesting to find out abut my ancestors. I know that I have at least one famous realtion, but would be curious about the different countries in my background. I am blessed in that I have solid foundations in this area. I have letters, pictures, and even found records of my grandfather and his family when they arrived at Ellis Island from Austria. We're about as German/Austrian as it can be! This is really neat. I'd love to know my genetic makeup just to know what health challenges I will face in the future. Like many families I've lost direct loved ones from cancer and I fear that as we all do. What a great and useful post. Was very interesting. Interesting fact of the day for me! Thanks for sharing! This is cool! I would never have thought to use genetic testing this way. I so want to do this! Been wanting to for years and I think 2014 is my year. This is wonderful information. Thanks for posting! Sure would be nice to know, since I was adopted. I think this sounds amazing!! I would love to have it done. Just think of all the great info you would get. could crank one out to your clip. I am so lucky. One side of my family has ancestory recorded back hundreds of years. Journals, birth records, personal stories. The book is really cool. This is interesting. DNA is a powerful tool for learning about the past and family. This would be so interesting to do. I'm adding it to my bucket list. Thanks for sharing! This is an interesting way to know more about where you came from. This is interesting. I never knew you could use it in this way. I have done testing on both of my girls and my husband. I have also tracked ancestry. After some strange things showing up, i stopped the ancestry research :D The genetic results in helped my oldest with certain medicines to avoid. This is really interesting, I never knew you could do this! Thanks for the info! who knew? I would love to learn more about my roots and my husband's too. I think this is important so you can understand what gens and traits you child will have. very interesting. would be awesome to get this done. thanks for the information. I myself never knew what nationality my father was. It would be nice to find out. I know my mom was Irish and English. I was told that my father was French and Indian but my mom said that wasn't true but she never told me his nationality. This is something I really want to do. I would love to know what my heritage is. I've been told Irish but I would love to know for sure. I have been wanting to do this for so long.There is such a lack of info about my family that I would love to know. I will be looking into it for sure! Thanks for the awesome post! Knowing my heritage was never really something I dwelled on. I just figured we all come from one God and He doesn't care what nationality we are & this is what's important. But when I found out I had Multiple Myeloma and had to have a stem cell transplant, finding the exact DNA markers from my family was terribly important. I recently heard about this on the news. It was "news" to me then that it was available to an individual. Great article. i never new about this,this is something i'm going to discuss with the rest of my family..thank you for sharing. I was fortunate to receive most of my genetic information from my great-grandparents, grandparents, great Aunts and Uncles as well as from my own parents. I have noticed that people who have very little or no knowledge of their ancestry are usually the ones most curious about the subject. Genetic testing could help some of these people answer their long-term questions. We are trying to explain to my grandmother how easy this test is, we really want to get it done, it's so easy to do, painless. I am so into this, and into genealogy. This would help fill in a lot of gaps in our family tree.